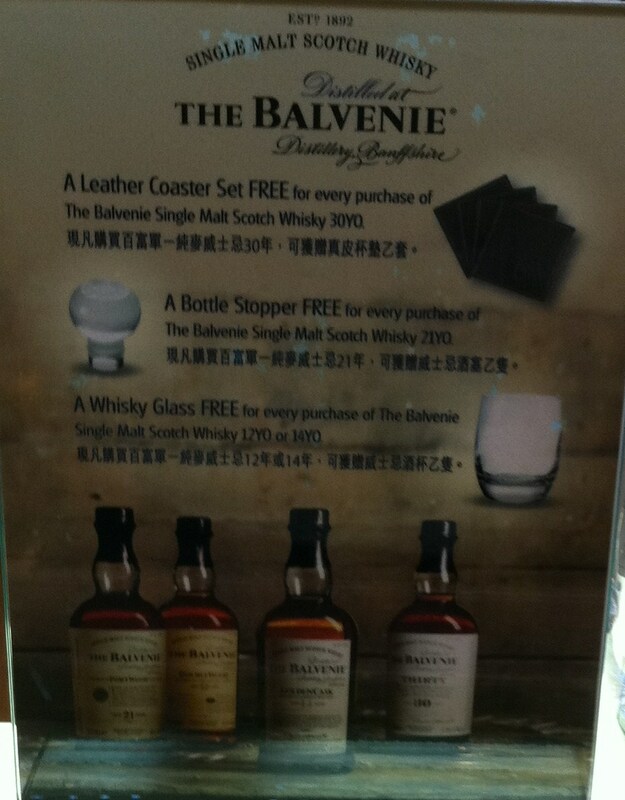 Scotch whiskey maker The Balvenie is currently offering a range of promotional gifts with purchase in Hong Kong airport duty free. Stylishly designed and reusable, they are a great decorative addition to any drinks occasion. In terms of Utility the gifts work well..
Coasters are capable of protecting table surfaces from condensation and potential scratches by providing a place for drinks to rest upon. Bottle Tops can be used to replace the standard top of your bottle to give a higher end feel for storing the drinks at home between drinks. Custom Drinks Glasses play a large part in how different drinks are consumed. See the Belgian Beer blog for more info. 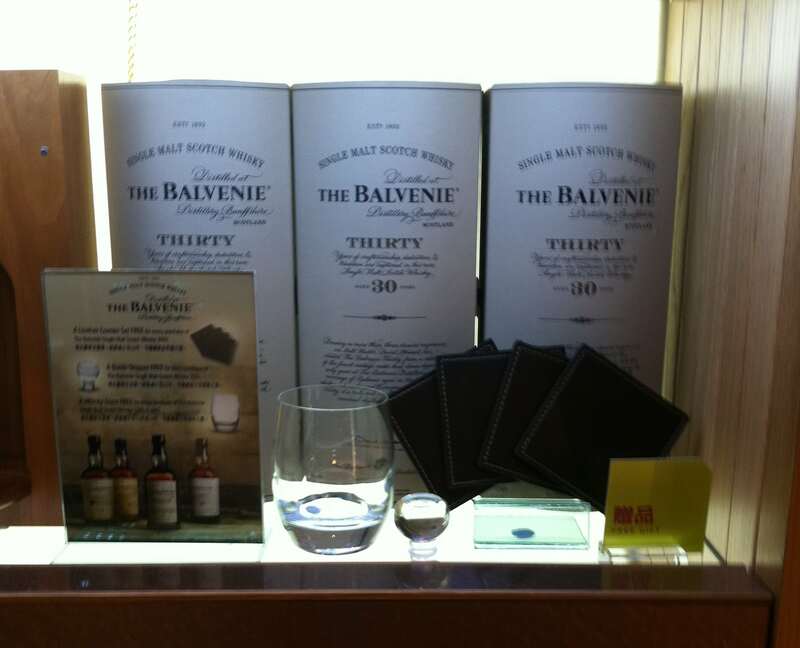 Suggest that Balvenie can improve on this gift by personalizing logo on the coasters, glasses and bottle stoppers. Options available are: emboss/deboss, print or foil stamping to suit the label’s needs on the coaster. Glasses can be decorated in many ways also. This helps give long term marketing benefits and advertising as consumers are reminded of the Balvenie label as their scotch whiskey of choice. As a promotional tool, coasters & glasses can also be used for a wide range of event giveaways or corporate gifts as well.